Corey Young was sentenced to 12 years in prison for three aggravated robberies in 2007. He was paroled on October 13. By Thanksgiving weekend, the 29-year-old had robbed at least two more people in the Old Town area, police say. Now he’s back in jail and facing more prison time. Cops chased Young after a man reported being robbed in the 1100 block of North LaSalle shortly before 9 p.m. on November 19. Police caught up with Young when he tripped over a chair in a vacant lot in the 1100 block of North Cleveland. When Young tripped, a pink iPhone and a Samsung phone fell to the ground, prosecutors said. The robbery victim identified young as the man who claimed to have a gun when he his phone and $160 cash minutes earlier. When cops searched Young at the police station, they found a state ID, a gym card, a school ID, and a Ventra card belonging to a man who was robbed three days earlier in the 1300 block of North Wells, just a couple of blocks from the other hold-up, police said. Prosecutors charged Young with two counts of aggravated robbery-indicating presence of a firearm. Police say he’s a member of the Gangster Disciples street gang. He is a being held on warrants from the Illinois Department of Corrections, Lake County, and $75,000 bail. 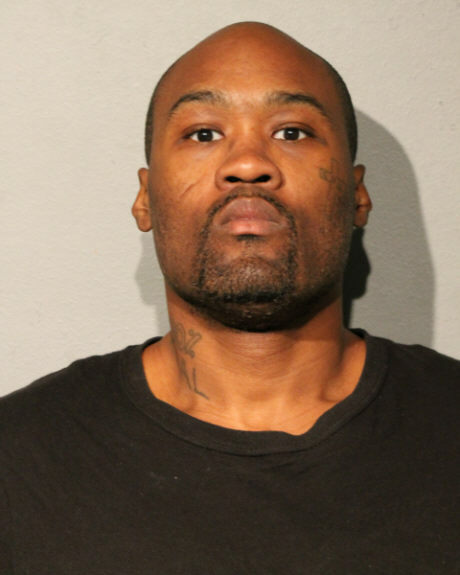 Court records show that he was sentenced to 12 years in prison on April 13, 2007, for a series of robberies including one at the North/Clybourn Red Line station.